The biggest difference between these versions are the watches that come with sapphire glass lenses and the Diamond-Like Coating on the fenix 5 Plus Carbon watch. The only other Garmin watch I’m aware of that uses DLC is the tactix Charlie tactical smartwatch. This article specifically looks at the fenix 5 plus (47mm watch face), have a look at our fenix 5X (51mm wide) or fenix 5s (42mm wide) articles for information about those watches. 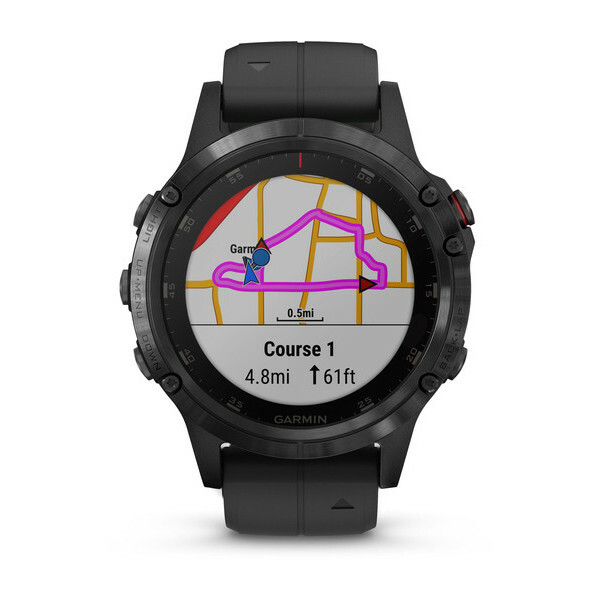 For a new iteration of the same series, Garmin has packed in a lot of new features, which is great to see. I’ll detail the most significant changes from the previous fenix 5 models. Round-Trip Run and Round-Trip Ride – This option is new to fenix 5 plus and fenix 5s plus models. It allows users to set a specific distance they want to travel, and the watch will suggest an appropriate course. As you can see from the above pictures there is almost no visual difference between original fenix 5 models and the new fenix 5 Plus models. The Plus models do have new styled bands but other then that the watches appear to the same, internally though the watches are almost completely different. This time, it’s just the sapphire glass. 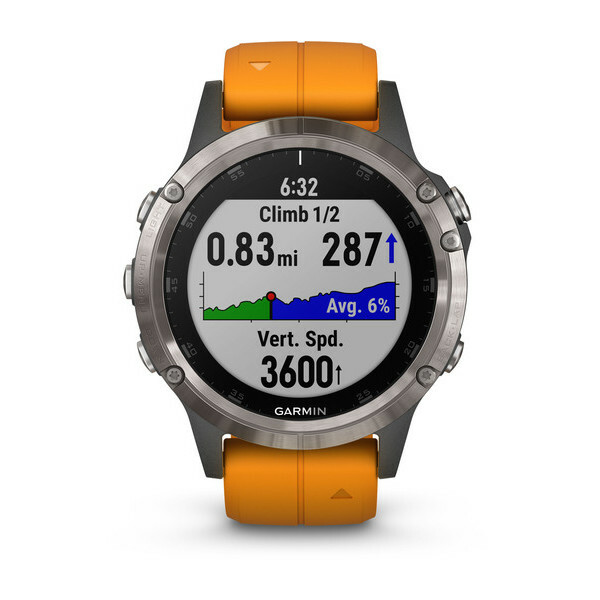 The previous iteration of Garmin fenix 5 watches only had WiFi functionality for the sapphire models, this is no longer the case with the fenix 5 plus series. Like the original fenix 5 you can change up the watch home face to show different information like steps, calories burned, activities, sunrise/sunset, date and almost anything else that the watch tracks. This is great for making a custom sort of home page that has a lot of the basic information you want to check immediately. Music works the much the same way as it did on the forerunner 645 music and vivoactive 3 music. I assume Garmin will be making music a staple for all their new premium watches much the same way optical HR sensors became a staple feature. You will need to use Garmin Express to bring the music over from your computer directly onto the watch itself. 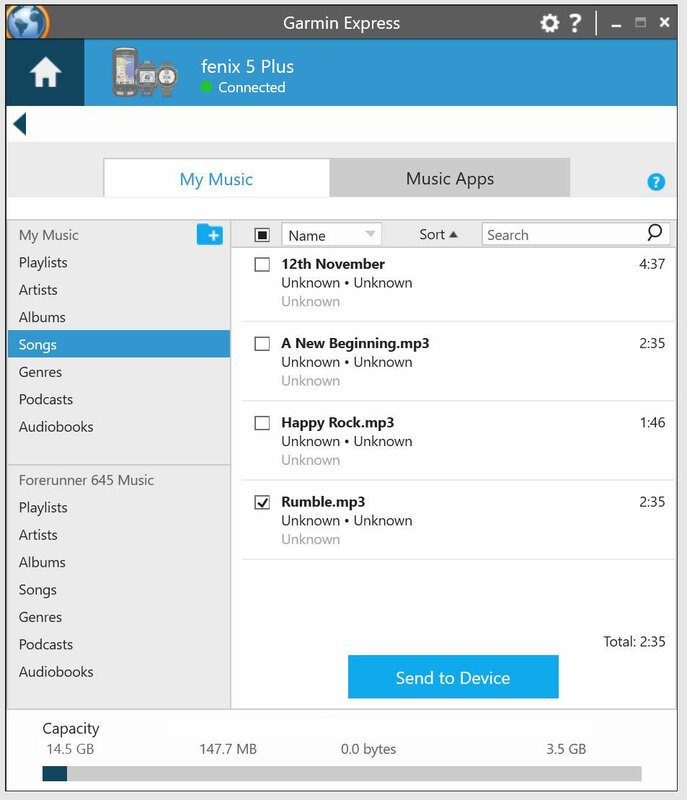 If you have iTunes or Music Player software, Garmin Express should detect this and display your playlists and song folders. If it doesn’t, you just need to select the folder in which you store your music and then move that over to your watch folder via Garmin Express. Garmin Pay also appears to be becoming a staple on the Premium watches as well. Which is great in my opinion as it increases the demand for more banks to offer support for this payment method. At this point, Garmin Pay has all of the big four (ANZ, CommonWealth, NAB, WestPac) alongside a couple of smaller banks with Garmin in talks to add more. Another new feature worth discussing further is the Preloaded Topo maps available now on all the watch variations. Previously it was only available on the fenix 5X as that was the only watch with enough internal storage capacity. This has since changed with the new models, and now Preloaded Topo maps will ship with every unit. The preloaded part is pretty important here as international versions of this watch will come preloaded with their country of origins maps preloaded. We also got to test out how effective the new trendline routing, this feature has been pretty popular on the Edge series Bike computers but Garmin seems to have tailored it well to use on foot for walking routes as well. Trendline popularity routing is sort of like crowdsourcing a popular route. The best example of trendline routing is that Garmin routing will always route you the shortest possible distance. This might be great if you’re driving to work, but if you’re on a ride in an unfamiliar area, you should be able to use this routing option to take the roads that most cyclists will use and avoid being routed onto a terribly busy street. Another routing feature new to the fenix 5 plus and fenix 5s plus is the round-trip routing for runs and rides. This is an easy way to instantly get a suggested round-trip route based on a set distance. Speaking of maps and routes, GPS satellite acquisition has also seen an improvement as Garmin has incorporated the Galileo Satellite constellation alongside the GPS, GLONASS constellations. This gives you better coverage than ever for when you’re out off the grid. Finally taking a look at the watches performance on basic smartwatch functionality, GPS use and GPS +Music use. Just functioning as a smartwatch, Garmin suggests up to 10 days battery life. This is not the typical use of the watch, personally, I can get around 7-10 days out of my 5s! But yes, I don't use GPS... 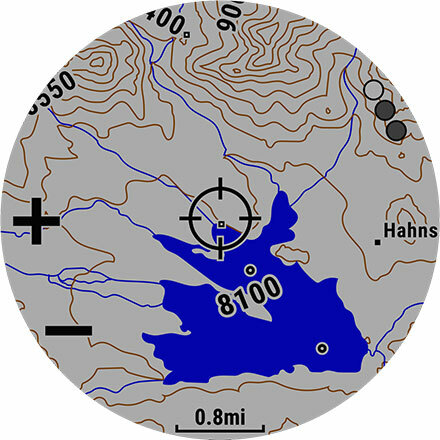 Battery life when using the GPS unsurprisingly takes a sharp dip, with an expected life of up to 13 hours. Finally using the GPS and music, you can expect up to 8 hours. Activity tracking has been made easier and more accurate with the new plus models. 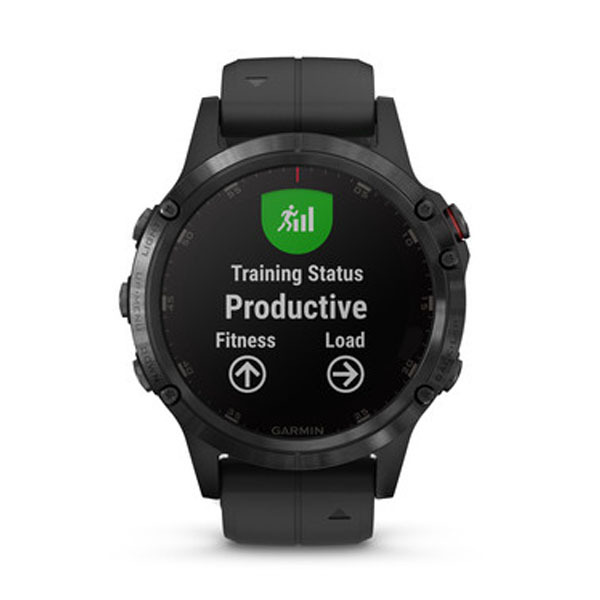 Like the old models, you still have all your preloaded activity modes for sports think running, swimming, cycling, skiing the list goes on and Garmin are constantly adding more preloaded modes. You also have the full Heart Rate information available measuring everything from Stress levels to VO2 max and establishing Lactate Threshold levels. You can also use the watch to take a look at your training status phases or the training effect. This analysis is to help maximise your training effect and make sure you’re not overtraining or overworking yourself. This analysis has been available since the conception of the fenix 5 but I feel it’s worth pointing out that the fenix 5 Plus haven’t been dumbed down in anyway. If you want to go into athlete level data analysis on your training performance, you have the ability to do so. I probably just stick to smiling about achieving my steps and stairs for the day. Another great health tracking that will be available on this watch is the updated version of sleep tracking Garmin has launched. The updated sleep tracking will be available on other watches like the vivoactive3 series, forerunner 645/935 and vivosmart 3 watches with the update likely rolling out to other watches eventually. The new sleep tracking will be able to tell you when you were in light, deep and REM sleep alongside when you were awake between those stages. In addition to this Garmin will be able to detail how long you were in each of these ‘sleep’ stages using heart rate and accelerometer data. Garmin Explore (You can connect offline and still use outdoor naviation, trip planning, mapping and data sharing to your smartphone, tablet or compatible Garmin device. 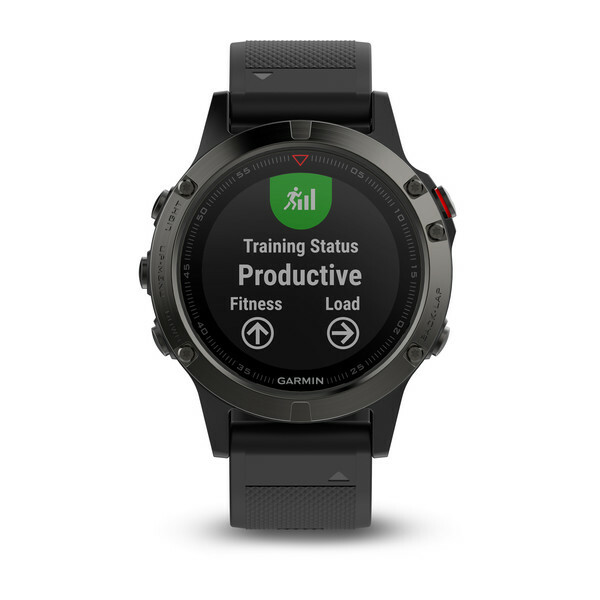 Garmin seems to have dug deep and given a feature-packed new iteration for the fenix 5 that is actually worth the attention it’s getting. Topo routing, Music and Garmin Pay are great ways to expand their current offer. Garmin is edging their way into becoming the most versatile smartwatch available. Most smartwatches typically focus on one area, for example, FitBit emphasises community and social aspects while AppleWatch focuses on app integration. Garmin has taken a slice of everything but really pushed the fitness tracking/analysis and exploration side of things. No other smartwatch brand has Garmin’s breadth of data for the routing and mapping options which instantly puts them in a prime position for being the best watch for outdoors and coupled with the new features this makes it a great everyday watch that fits the serious athlete’s wrist just as well as it does the office worker.